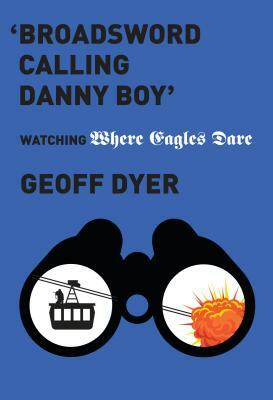 Geoff Dyer's earlier book on film, Zona, was about Andrei Tarkovsky's Stalker, so it was perhaps inevitable that he should next devote his unique critical and stylistic energies to Brian G. Hutton's Where Eagles Dare. A thrilling Alpine adventure starring a magnificent, bleary-eyed Richard Burton and a dynamically lethargic Clint Eastwood, Where Eagles Dare is the apex of 1960s war movies, by turns enjoyable and preposterous. 'Broadsword Calling Danny Boy' is Geoff Dyer's hilarious tribute to a film he has loved since childhood: it's a scene-by-scene analysis—or should that be send-up?—taking us from it's snowy, Teutonic opening credits to its vertigo-inducing climax. GEOFF DYER is the award-winning author of many books, including But Beautiful, Out of Sheer Rage, Zona (on Andrei Tarkovsky's film Stalker), and the essay collection Otherwise Known as the Human Condition (winner of a National Book Critics Circle Award for criticism). A fellow of the Royal Society of Literature and a member of the American Academy of Arts and Sciences, Dyer lives in Los Angeles, where he is writer-in-residence at the University of Southern California. His books have been translated into twenty-four languages.